In the US, online sample marketplace PureSpectrum has promoted David Butler to the role of Chief Client Officer. Launched in 2016 by former Cint US MD Michael McCrary, PureSpectrum provides a marketplace for buyers and sellers of online sample. Last month, the firm rolled out a DIY eCommerce insights platform called Storefront, which automates survey creation with custom configurable inputs, data collection and report generation, allowing researchers to return insights to clients within 24 hours. 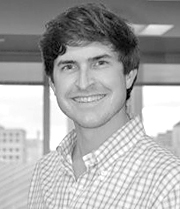 Butler (pictured) joined in 2016 as VP Client Success, having spent the previous five years at programmatic sample platform Lucid, latterly as Executive Director of Business Development. He began his career as a Senior Consulting Associate with investment firm Cambridge Associates. Commenting on the promotion, McCrary said: 'David has played an integral role in the rapid growth of PureSpectrum since joining. He has a unique ability to translate client needs in a way that solves problems with a technology-first approach'.